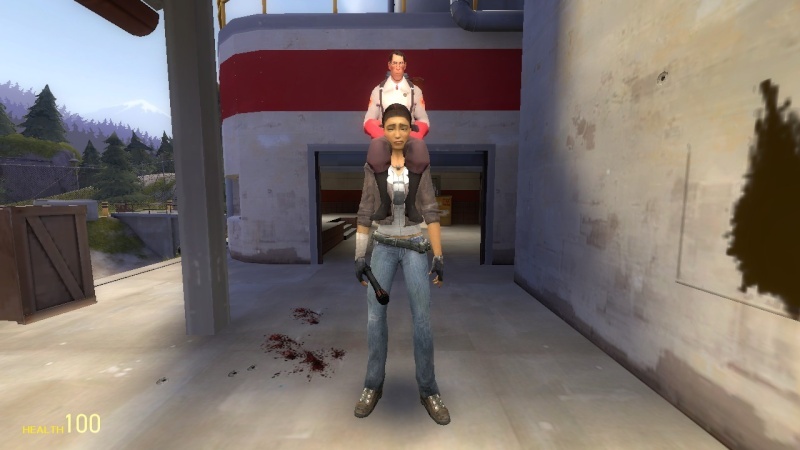 Post Gmod funny stuff here, it can be in any gamemode, not just Sandbox! Re: Post your funny Gmod pictures! A mercenary once made to be a soldier through the process of genetic modifications to the dna of one of the former best soldier available. The military had switched from accepting citizens into their ranks and began to clone their own army all with different variants off of the original dna to have a better chance of finding improvements. This young soldier was only named because the generals had noticed advanced capabilities not shown in others. After hearing the way the military uses his fellow men as nothing more than disposable reinforcements, he vows to one day bring down the system and restore its old values. On the day that he was supposed to be deployed, he escaped into the town bringing plenty of government gear and munitions along with him. In the following hour they had already knew. the military called for a manhunt through its own country for the rouge clone. They had noted specifically for the man to be killed, they didn't care about him. They only desired the advanced dna he was created with, this being impossible to reproduce an exact copy of without his own dna to act as the recipe. Now he roams the world, looking for a way to destroy the corrupt system. But as he cannot do any official work but still requires cash, he puts his skills to use as a mercenary. Any free time he has is spend planning a next attack or organizing connections to existing soldiers in the military in order to have his own network of spies. Any job he is hired to do that furthers his own vendetta is half price. Kirby wants the missle ability... but I don't think this is how he's supposed to get it.